Events made possible thanks to the Anonymous Fund and the Departments of Art, Art History and English. Neither Johns’ first nor oldest extant work, Flag (1954-55) is often described as a personal emblem and point of origin, both for Johns’ oeuvre and postmodern culture more generally. But what kind of emblem is Flag? And, indeed, what kind of origin? With these two questions in mind, this lecture revisits Johns’ much-discussed painting and places it in dialogue with two contemporaneous, but seemingly unrelated developments outside the field of art history: 1) Jacques Lacan’s return to Freud as developed in his Parisian seminars of the mid to late fifties, and 2) the discovery of DNA’s double helix structure by James Watson and Francis Crick in 1953. 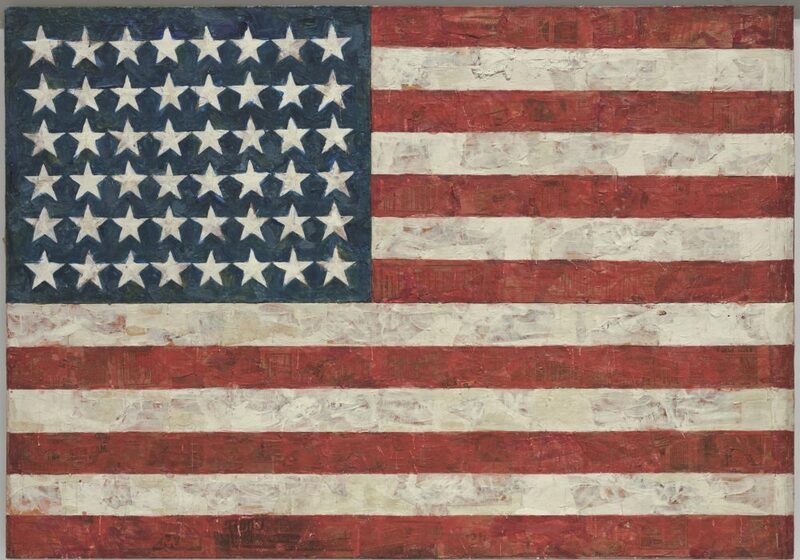 As I will argue, these never-compared phenomena reflect a profound shift in our perception of the human subject, which is in turn aligned with a profound shift in the conception of art, evident, I claim, in the self-reflexive, mid-century paintings of Jasper Johns. What do Olafur Eliasson, Paul Pfeiffer, Iñigo Manglano-Ovalle, and Christian Jankowski all have in common? All are new media artists whose work is engaged with apocalyptic structures, themes, or imagery. In this wide-ranging discussion of art since the year 2000, we will consider several projects that sound a sober note of alarm, or, are notably light-hearted and/or pop-cultural, despite cataclysmic and/or religious subject matter. Our primary questions will be two: how does apocalyptic rhetoric function at the turn of the second millennium? And, what connections might we make between it, technology, and the Judeo-Christian tradition? 2013). Professor Wallace is also author of Jasper Johns (Phaidon, 2014) and is currently completing a second book on Johns that considers his work in conjunction with contemporaneous developments in the fields of genetics and psychoanalysis. Simultaneously, she is working on a new project that considers recurring intersections between new media art and assorted Judeo-Christian themes.